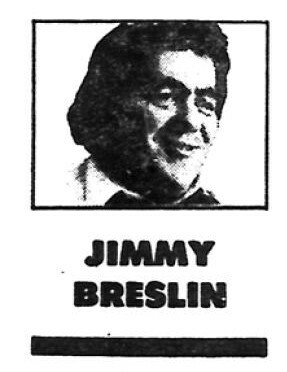 “`Columnist Jimmy Breslin was the Pulitzer Prize-winning storyteller about wise guys and underdogs, who was an embodiment of old-time, street smart New Yorker. Jimmy was a fixture for decades in Big Apple journalism, notably with the New York Daily News. It was Breslin, a rumpled bed of a reporter, who mounted a quixotic political campaign for citywide office in the 1960s; became a Son of Sam correspondent in the 1970s; exposed the city’s worst corruption scandal in a decade in the 1980s; and was taken from a car and stripped to his underwear by Brooklyn rioters in the 1990s. With his uncombed hair and familiar Queens accent, Breslin (right) was like the characters he wrote about. “`With typical disregard for authority, Breslin once took out a newspaper ad to fire the ABC television network, when they aired his short-lived television show in a terrible time slot. He captured the 1986 Pulitzer for commentary, and the George Polk Award for metropolitan reporting. With Gay Talese and Tom Wolfe, Breslin helped create a literary approach to news reporting. Breslin dabbled in television and magazine writing, but returned to the newspaper business in 1976 as a Daily News columnist, and became part of one of the city’s horrifying stories; the Son of Sam killings in 1977. David Berkowitz sent Breslin letters and impressed the columnist. He jumped to New York Newsday in 1988, signing a contract for more than $500,000 a year. “`He was an acclaimed author, too, moving easily between genres. The Gang That Couldn’t Shoot Straight was his comic chronicle of the Brooklyn mob; Damon Runyon: A Life was an account of his spiritual predecessor; I Want to Thank My Brain for Remembering Me was a memoir. His second book, Can’t Anybody Here Play This Game?, was praised for its tales of the sad-sack New York Mets. “`Jimmy became a news columnist in 1963, and quickly found a human story. As reporters worldwide arrived to cover President Kennedy’s funeral, Breslin sought out the presidential grave-digger. He later covered Robert Kennedy’s assassination in 1968 from a much closer angle; Breslin was standing five feet away, when Sirhan Sirhan struck at the Ambassador Hotel in Los Angeles. “`In 1969, Breslin joined author Norman Mailer on a goofy political ticket: Mailer for mayor, Breslin for city council president. His career as an investigative reporter led him to cultivate ties with various Mafia and criminal elements in the city, not always with positive results. In 1970, he was viciously attacked and beaten at The Suite, a restaurant owned by Lucchese crime family associate, Henry Hill. “`He was no actor, but Breslin was a character. He appeared in the 1978 film, If Ever I See You Again; and he played himself in Spike Lee’s crime thriller, Summer of Sam in 1999. “`While Breslin had admirers, he formed an equal number of enemies. One of his most enduring feuds was with ex-Mayor Edward Koch. Breslin also made ill-fated predictions. In his last regular column for Newsday, on Election Day of 2004, he rejoiced an expected victory of Democrat John Kerry; Republican George W. Bush was instead re-elected president. “`In 2008, the Library of America selected one of Breslin’s Son of Sam articles for inclusion in its two-century retrospective of American True Crime writing. 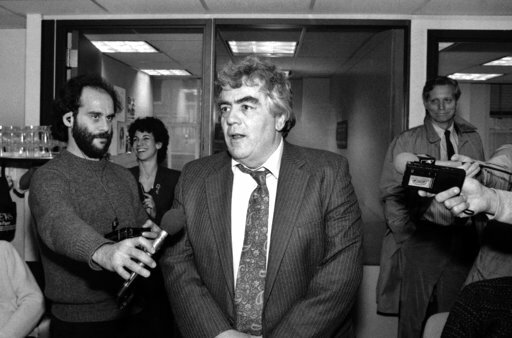 “`The pugnacious Jimmy Breslin was 88. This entry was posted on Sunday, March 19th, 2017 at 11:46 am	and is filed under Blog by Manny Pacheco. You can follow any comments to this post through the RSS 2.0 feed. Responses are currently closed, but you can trackback from your own site.